Now here is a very interesting set of data from (admittedly) a small pilot study by a group of Italian researchers. Tentori et al. set out to test whether urologists and patients placed the same priority levels (referred to as “importance weights” in this study) on the different factors (“attributes”) that affected how they made decisions about treatment for localized prostate cancer. And in order to make sure that there was a neutral baseline for all concerned, they included a third group of trained professionals (a group of architects) who were matched to the urologists by age and gender. The urologists and the architects were asked to try to judge not what their priorities were but what they thought the priorities of the patients would be. The urologists all had a real initial meeting with the patients they were expecting they might need to treat. By contrast, the architects never met the patients and knew only the patients’ ages and that they had been diagnosed with localized prostate cancer. Perhaps unsurprisingly, with a single exception, the urologists did not accurately assess and the patients attitudes to the defined “attributes” with the same levels of priority at all! The paper needs to be read with care, and it was intended only as a pilot study — enrolling just 10 urologists, 20 patients, and 10 architects to test the idea of a much larger survey. The entire text of this paper is accessible on line. So Table 1 of the article shows the full list of “attributes” that all the participants were asked to evaluate for their levels of importance. One could argue that they are not “perfect”, but they are certainly representative of issues that a patient might be concerned about. Each of the three sets of participants was asked to evaluate each attribute on a scale from 0 to 100 such that the total score for the ratings added up to 100. Two different methods were used to do this: the direct rating (DR) method and the virtual heirarchy (VH) method. For simplicity’s sake we will focus on the DR method and so, for example, if a participant thought that all eight of the attributes shown in Table 1 were equally important, then each would have a score of 12.5 by the DR method. Table 2 of the study shows how the patients themselves actually rated the eight individual attributes. “Effectiveness in curing the cancer” was the most important attribute while the lowest weights were given to “Discomfort” and “Temporary digestive problems”. But note that when the DR method used, even though “Effectiveness in curing the cancer” was the most important attribute, it still scored an average (mean) of only 21 ± 6 out of 100 for the 20 patients. Unfortunately (from our perspective), the article does not provide us with the equivalent “raw data” for how the urologists and the architects estimated how the patients would think about and evaluate the attributes. However, what it does provide is very clear evidence that, in this admittedly small study, neither the urologists nor the architects came close to assessing the attributes in the same ways as the patients themselves (see Tables 3 and 4 of the article and the related text) — with the single exception that (unsurprisingly) everyone consistently considered “Effectiveness in curing the cancer” as the highest priority attribute. After that, everything was pretty much all over the map. For a third time, we are going to remind readers that this was a pilot study, so we should not over-think the results. 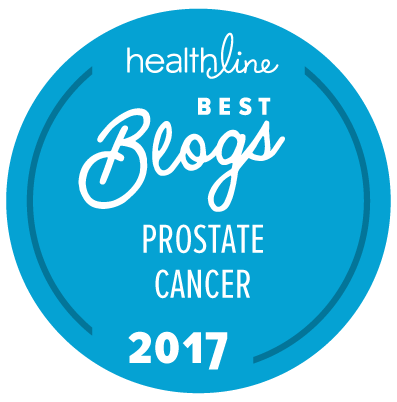 However, what it does seem to show very clearly indeed is that there may be a serious problem that the urology community is unaware of … that they are poor judges of what drives patient decision-making in the treatment of localized prostate cancer. The results of this pilot study suggest that, although urologists typically have an active role in [prostate cancer] treatment decisions, they may not be aware of patients’ importance weights concerning the relevant dimensions of the available options. While awaiting the results of more definitive studies, we might consider why this happens and how we could change routine procedures to facilitate the elicitation and sharing of this kind of information. At present, the laws of many Western countries grant patients the right to consent to or refuse the treatments that physicians recommend, yet they do not require the physicians to elicit patients’ preferences or to support them in a process of deliberation …. Interestingly, this does not hold for investment advisors, who are required to make a reliable assessment of their clients’ risk profile and financial objectives before providing them with suggestions …. Unless we consider uninformed recommendations concerning health less problematic, similar measures in healthcare settings seem worthy of consideration. It is worth thinking about the fact that this set of findings may be applicable to a lot more than prostate cancer! So sick of all the BS by urologist community. Until MRI and targeted Bx are the standard of treatment, men should have zero respect for them! Why, for example, are they willing to do bone scans and CT scans which are complete wastes of money but they are not interested in doing an MRI to target the worst actors and determine up front if any treatment is needed? In the UK and some other countries MRIs and targeted biopsies are already the standard of care, and they are nothing like as expensive as they are here.